My name is Mike Ferris and I am your Tour Guide for Fisherman Mike’s Guide Service, LLC. I love residing in Oregon, and living on the banks of the North Santiam River, I consider it my home river. With over 20 years of drifting the North Santiam River, I have a thorough knowledge of the gradient, rapids and most importantly where the fish tend to hide. The main goal of our fishing trips is to catch fish, but we also make sure we stop and breathe in the scenery all around us. With amazing views of scenery and wildlife, I promise that you will have plenty of breathtaking photos to share with your family and friends. 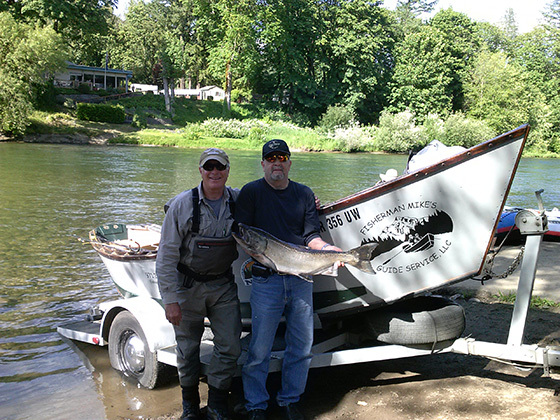 Your local Oregon fishing guide down the North Santiam and South Santiam Rivers, Oregon Coastal Streams, Detroit Lake and more.